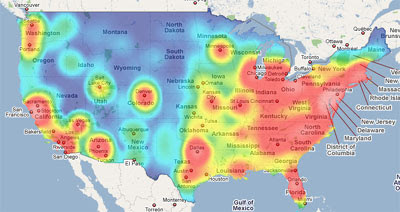 This map is a good example of a Google Maps heat map. The map shows the density of fast food restaurants in the US. The only thing missing from this map is an obesity layer. It would be interesting to compare the density of fast food restaurants to levels of obesity. If you want to add yourself to that non-existent obesity layer then you need this map instead. This map shows the same data as above but is an example of how to cluster a large number of markers on one map. Of course you can ignore all the interesting information about how to cluster markers and just use the Fast Food Cluster Map to find your nearest KFC. 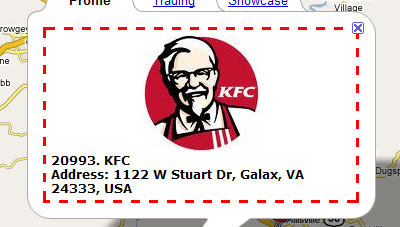 This Google Maps mashup also shows the location of fast food restaurants in the US. Like the map above this site also uses clustering. On this map the number of locations in a cluster is represented by the size of the marker. Each of the major fast food franchises has its own layer on this map. It is therefore possible to search for just MacDonalds or Burger King or Pizza Hut etc. Foodski not only maps 1291 fast food restaurants in the San Fernando Valley but also maps 2124 restaurants that actually serve real food for grown-ups. It is possible to filter the thousands of restaurants mapped on this site by location and by type of restaurant. When you find the right type of restaurant in the right location it is even possible to get driving directions right to the door of your chosen eatery. Cityvoter isn't a restaurant map but a user based city guide. CityVoter allows insiders who know a city best to share their insight with information, ratings, and reviews on locations and venues. The site also includes a geo-targeting feature to let users find places to eat, drink, and visit. 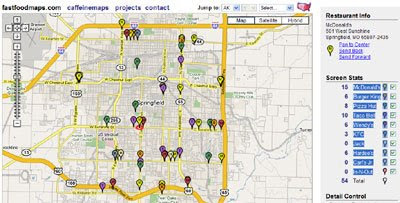 So if you are looking for a good place to eat Cityvoter would be a good place to search. You can even ask questions and get replies from other users. 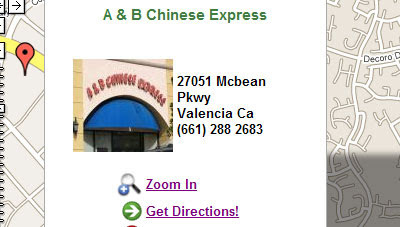 For example, if you want to know which are the best restaurants in Little Italy Cityvoter can give you the answer. What's more it can even show you their location on a Google Map.